Tax season is here! We’ve already sent a few posts about how to file 1099 taxes as a scooter charger, tax write offs you can claim, and how claiming actual car expenses can be better for you than trying to keep a mileage log. Today, we’re expanding our tax resources for you. We’re excited to announce an official partnership with Keeper Tax. Like Scooter Map, the Keeper team is small, but dedicated, and cares deeply about helping its early customers save money. We think it’s a great fit. Keeper Tax automatically tracks tax deductions for 1099 contractors throughout the year. They do this by monitoring your purchases with a combination of computer algorithms and human bookkeepers to find tax write offs most people miss… stuff like phone bills, insurance charges, home office expenses, gas fill ups, and many more. 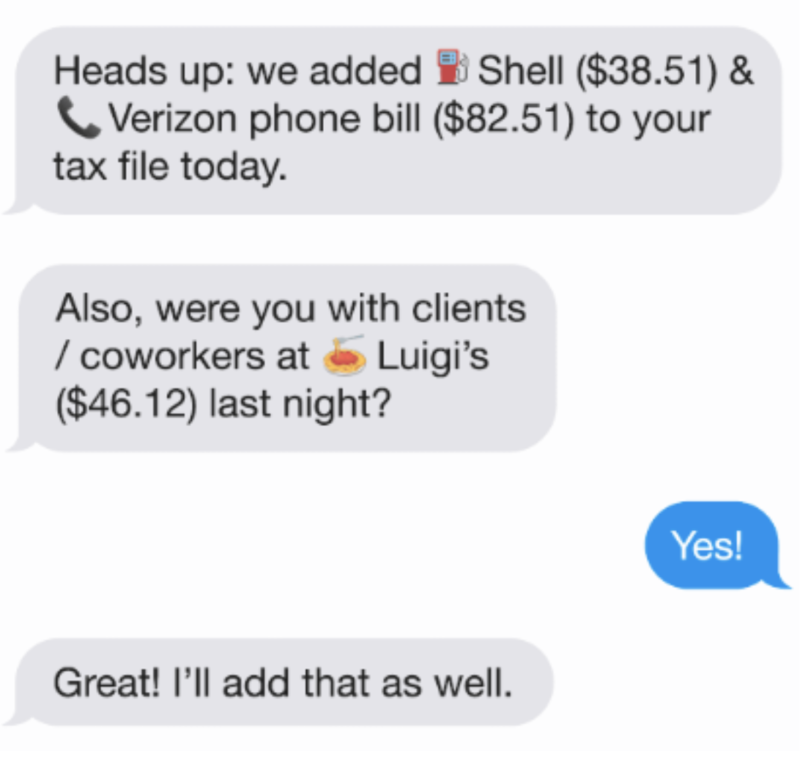 We’ve personally used the service and love how simple it makes tracking tax deductions. It’s all on SMS! At the end of the year, they send you a clean tax summary that’s easy to plug into any tax filing solution like H&R Block or TurboTax. It’s just $8 per month for anyone referred by Scooter Map. We think it’s a great deal given that they hire a team of actual bookkeepers to monitor and review your purchases. Added bonus: they’ll also help you save time and money on your 2018 taxes! We’ve negotiated a deal so that anyone from Scooter Map who signs up this month also gets free 2018 tax prep. Tax prep means that the Keeper team will review your 2019 bank statements and compile a simple tax write off summary that you can easily plug into any e-filing solution like TurboTax, H&R Block, etc. to claim your tax savings. After you sign up, they’ll send you a link to get started.